Beast Mode continues. After a groundswell of interest on social media, we’re releasing three recipes from Beer for Beasts for the homebrewing community to experiment with. Beer for Beasts is an incredible event — 30+ custom brews made extra-small batch, 20 gallons at a time. To produce all kinds of crazy flavors in the beers, and to ferment so many beers simultaneously, Beer For Beasts definitely requires every bit of the homebrewing innovation that Sixpoint was built on. We made beers across the spectrum — from dark, sweet and rich brews made with molasses, to effervescent wheat beers brewed with fruit, and tons in between. The full list of beers is up on our app. We used 14 different yeast strains, including the baker’s yeast from Pizza Moto. At one point we had more than 25 brews fermenting at once, not even counting the beers in the big tanks. We busted out old-school homebrew style ferments, using carboys and kegs as our vessels, and a converted chest freezer to keep our lagers cool. With all this homebrew innovation, it seems only right to send out a few recipes for our fans to try. Homebrewing is the ultimate creative incubator, after all (that’s why we bring homebrew champions in to brew once a year, and spotlight really good clones). We’re laying out three recipes, increasing in difficulty from standard to advanced. Homebrewers are encouraged to try to create clones, or to innovate as they see fit. We’re assuming basic homebrew knowledge here, and only including recipes and notes on tricky procedures. Please note, hops amounts are for a 20 gallon batch. To everyone using the recipes, please share your creations with us! 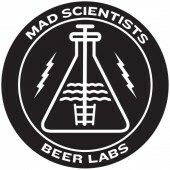 Reach out to us on twitter and instagram and include Mad Scientists #BeerLabs to let us know what’s up. Cheers! 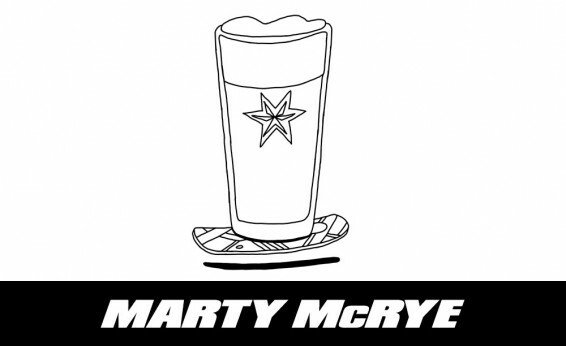 Marty McRye is a bright, fruity pale ale brewed with adjunct grains, which impart unique flavors and textures to the brew. Justin Harm (@SixpointJMH), our greater NJ area rep came up with the idea, and Heather (@apunkybrewster) wrote the recipe and brewed it. Notes: The gumminess of oats and rye are a concern here; be sure to use rice hulls, and/or lauter carefully, to prevent a stuck mash. 1 hour boil, fermented at 68F. 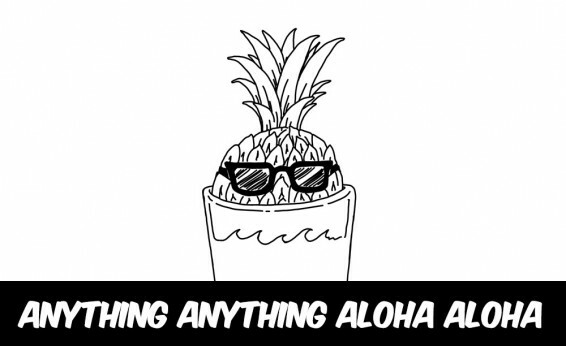 Aloha is a Belgian pale ale with real pineapple. Its tropical aroma and clean finish made it one of the favorites at Beer For Beasts. DJ Rich Russo, host of the “Anything Anything” syndicated radio show came in to help with the brew. Notes: Add pineapple juice at flameout (the end of the boil), and stir. We used 3 quarts in a 20 gallon batch. We added pureed pineapple (diced and blended) after primary fermentation. To sanitize, we froze the puree and covered it, then defrosted and added it. 1 hour boil, fermented at 68F. 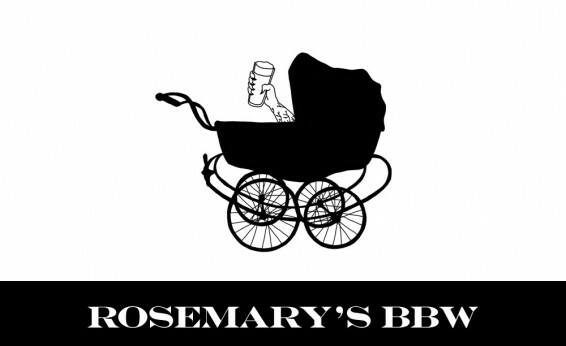 The idea for this Berliner Weiss with lemon and rosemary came from Jade (SixpointPA), one of our Philly reps. Berliner Weiss’ are sour and usually require a lactobacillus fermentation. There are a few ways to perform the fermentation, but for our part we did a separate lactic fermentation in a carboy, and blended the final product to produce our beer. Notes: 3/4 of the wort is fermented with 001, our house yeast. We fermented the last 1/4 in a separate vessel with lactobacillus. We boiled it afterward to sanitize, then blended. Rosemary and lemon zest was added during the boil at 5 minutes. For a 20 gallon batch we used the zest of ten lemons and 1.5 oz of rosemary. One last reminder: share your stories with us using Mad Scientists #BeerLabs. Cheers!